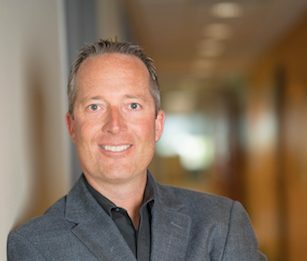 SALT LAKE CITY, Utah — November 7, 2017— Dental Select today announced that it has named Mark Coyne as President of the company. Brent Williams, who founded the company in 1989, will continue to serve as Chief Executive Officer. Coyne will be responsible for leadership and decision making over Claims, Enrollment, Customer Service, Provider Relations, Sales and Account Management, Marketing, Underwriting, and Information Technology. Additionally, Coyne will lead Dental Select’s execution and implementation of business strategies, as well as the launch of new products and technologies. Under the new leadership structure, Williams will focus on expanding the business through strategic partnerships, including political and business relationships. Williams will lead company growth into new markets, continue to shape strategic vision, and open new doors for Dental Select. “This comes at a significant time for Dental Select,” said Williams. Coyne brings 20 years of experience in dental and vision insurance. Prior to his time at Dental Select, he was the Vice President of Sales at Government Employees Health Association where he was responsible for sales, marketing, national accounts and operations for dental, vision and hearing provider networks. He also served as Senior Operations Manager for Connection Dental Federal and Connection Vision. Coyne has 15 years of volunteer service with the National Association of Dental Plans. His contributions include serving as a member on the Board of Directors and Chair of the Education Commission. He received his undergraduate degree from Washburn University and his Master of Business Administration degree from the University of Kansas. Brent Williams founded Dental Select in 1989 upon the belief that dental insurance should be simpler for members. The company has since grown to become one of the largest privately-held and independent dental plan administrators in the United States. He continues to influence Dental Select’s direction and strategic priorities today, constantly pushing for new ways to disrupt the benefits industry. As a result, the company is pursuing objectives that create positive experiences and technological advancement to improve the customer experience. Williams’ industry leadership and involvement in legislative action has become a passion. He is an active member of the National Association of Dental Plans and has served on its Board of Directors for more than 10 years. He is a three-time finalist for the Ernst & Young Entrepreneur of the Year, and serves on the Board of Governors for the Salt Lake Chamber of Commerce. Dental Select administers dental and vision benefits for large employer groups, small businesses, and individuals across the country. Dental Select is a licensed third-party administrator and insurance agency with plans in 46 states. Dental Select insurance plans are underwritten by ACE American Insurance Company, a subsidiary of Chubb, Limited, the world’s largest publicly traded property and casualty insurance group.